The other with straight hemline and a little vent at the side! These straight leg capri’s have an 11″ outseam from waist to hem. And approximately a 19″ waist circumference. All items are made with high quality Free Spirit quilting weight cotton by designer, Tanya Whelan, from her Delilah line. Kind of summery for Christmas, but a very nice out fit all the same! Anyone live on the south of the equator?? Anyone thinking ahead to this summer??? The pillowcase dress can actually be worn with some nice leggings and a long sleeve shirt for winter! Enjoy!! To enter please just leave a comment on this post and please also leave a comment or like the picture on our Facebook page! We will be drawing on December 21st using random.org. And remember the greatest gift of all! Jesus Christ who gave His life to save us and rose again to prove He was God!! We have been making up our Christmas dresses early this year. We get to take a little 3 day break and school is starting so, we wanted to be prepared. 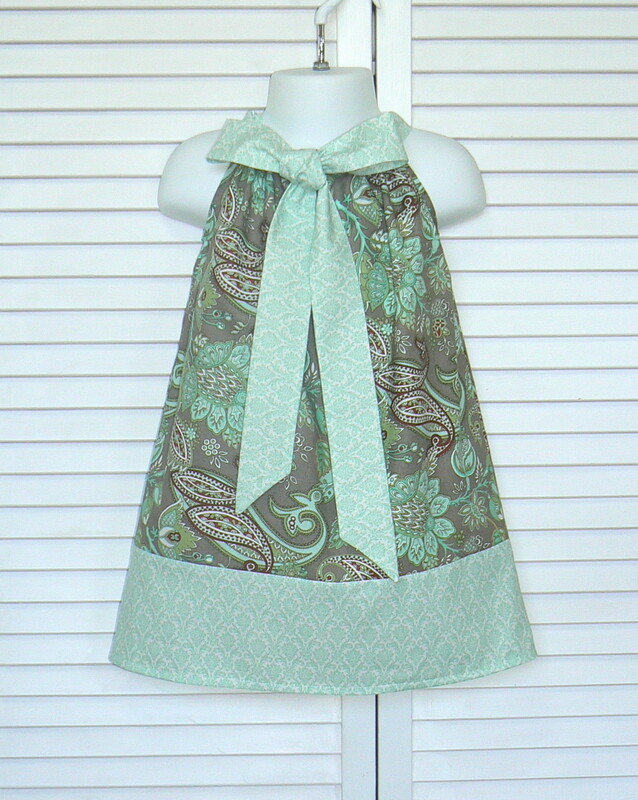 This year we are going to give away our 3 demo pillowcase dresses! All we did with these was make them to get pictures. 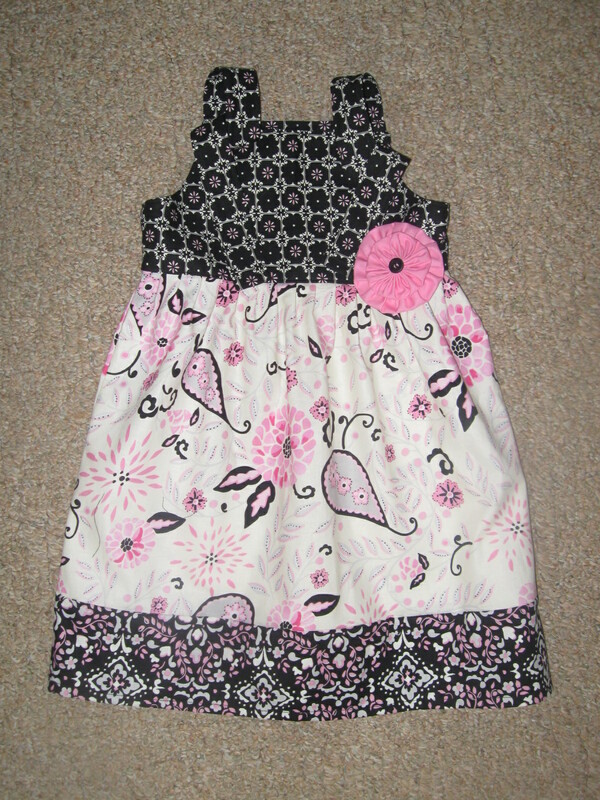 They are 18″ long and would fit a 18 to 24 month for a dress but don’t forget about swing tops! If your daughter is older they can be used for them too! This dress has a new twist to it. This picture is the normal way we tie pillowcase dresses. This picture is showing a rear tie option that a customer requested. So the dress can tie on the side, in the back or if you like the bow in the front. 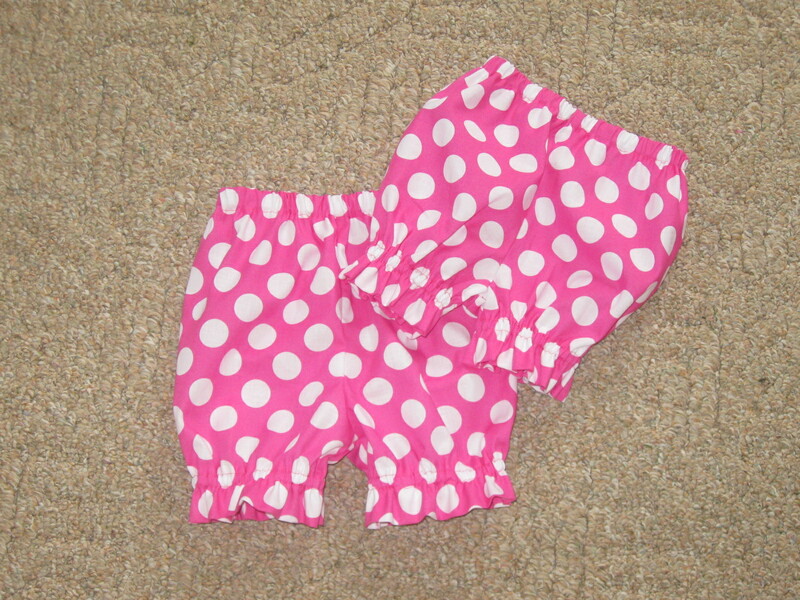 This is our traditional pillowcase dress with the side tie. Snowflakes and lights. And another traditional in the snowmen and snowflakes. These are some matching ties Victoria made, not giving them away, too many boys here 🙂 Just thought you would like to see Victoria’s handy work. 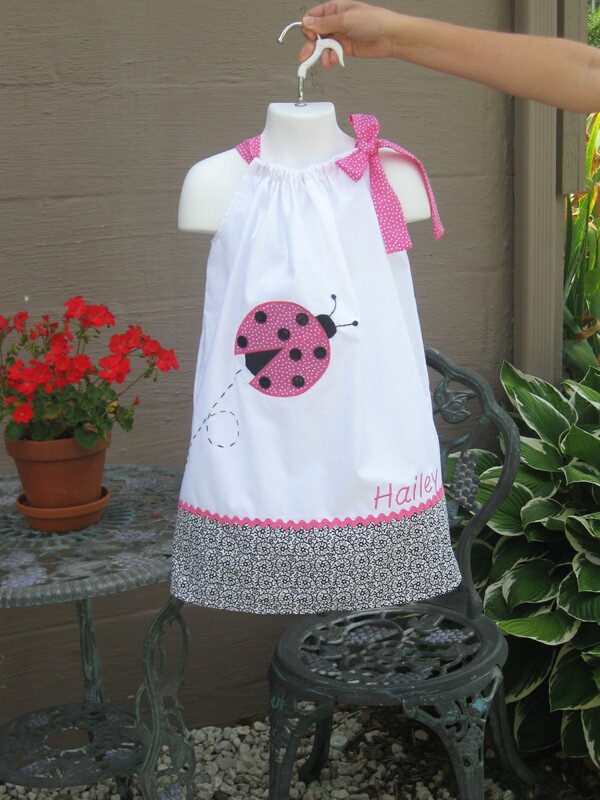 And for that matter Olivia made all the pillowcase dresses. Kind of cute, she always had a little fear of making them and now she cranks them out!!! So, for the particulars of how to win.. I thought only one dress per winner would be fair. first post on the blog here which dress you would like as your first choice. Then visit our facebook page and comment on our give away there. And lastly, visit our website and let us know what your favorite piece is. For an extra entry you can tell a friend about our give away and have them let us know you did on our facebook page. We will use random.org to choose the 3 winners. First place gets her 1st choice of dress. Second place will get as close to her first choice as possible. 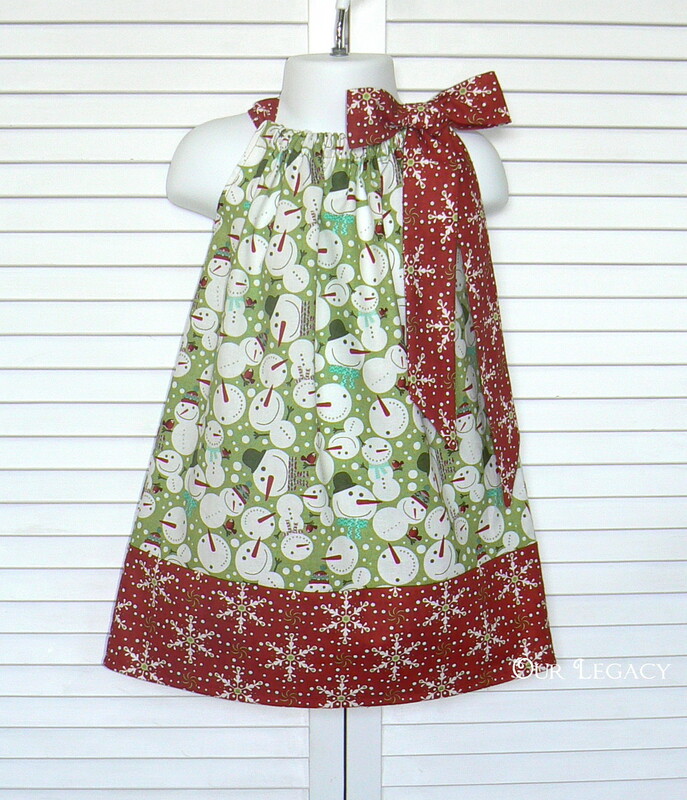 And 3rd place will get a beautiful Christmas pillowcase dress that didn’t go to 1st or 2nd place! 3 winners Yay!!! So, choose paisley, snowflakes and lights, or snowmen and snowflakes. We will draw a winner on Tuesday, September 4th, 2012! Enjoy! This is one of our sunflowers..The bees are feasting…I love this, how it speaks of God’s care and plan, the sunflower grows and doesn’t worry about how tall or beautiful it will get. 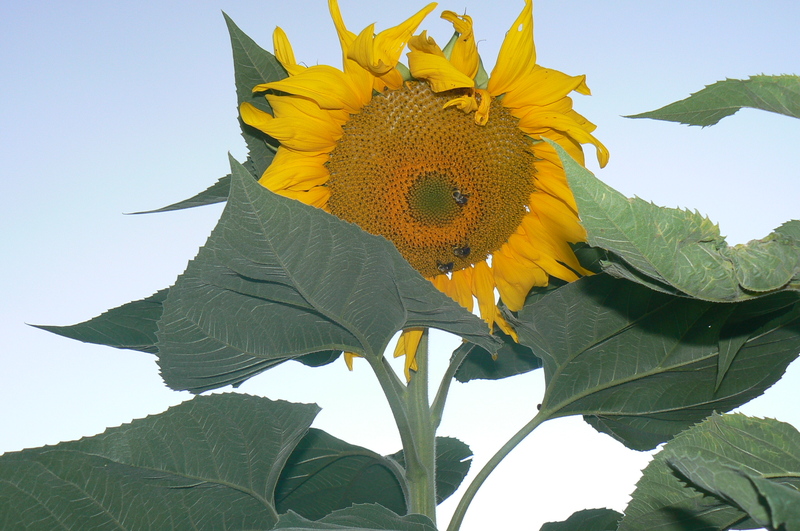 The bees come and pollinate it and they didn’t worry if the sunflower would EVER get to this point of feeding them. The seeds that come from the bees pollinating the plant will give us more flowers next year and the birds some food this winter. Is that not an awesome thought! He is a careful, creative, Sovereign God! Oh, and I almost forgot, we get to feast our eyes on all this beauty! Thank you Father!! We just determined the winner of the spring 2012 pillowcase dress giveaway, using random.org. Number 6 a.k.a. Sara Cress is our winner! Just let us know the size you need! 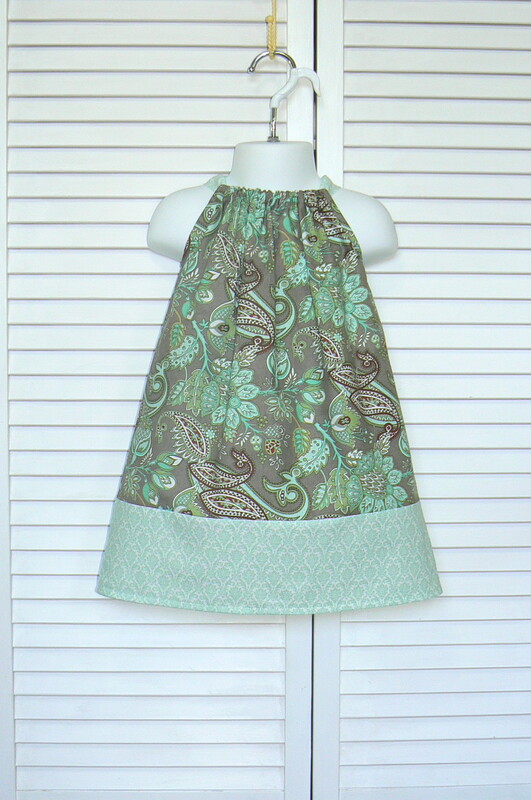 We have decided to give away this Hidden Garden pillowcase dress. We have had such a positive response to it in our Etsy shop that we know mommys like it! 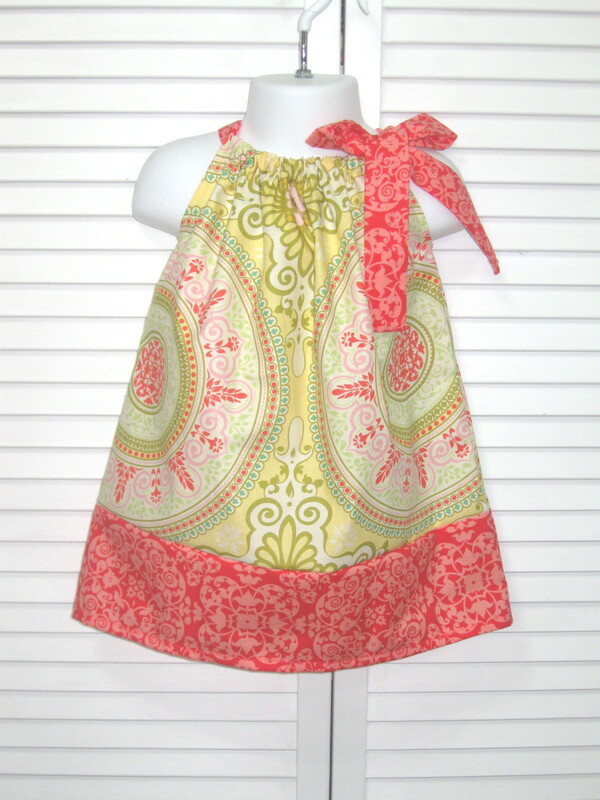 This is our Garden Gate pillowcase dress. 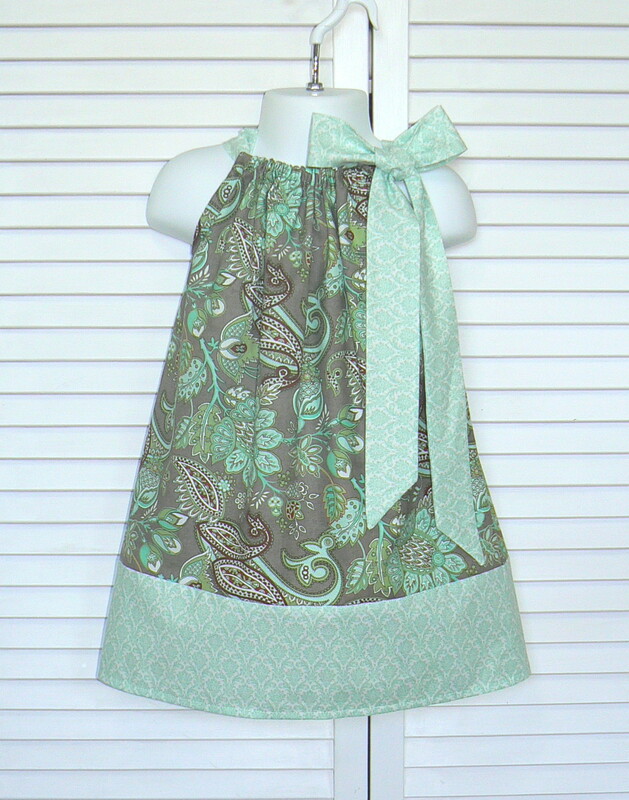 It features Sandi Henderson’s Secret Garden Designer Fabric. This fabric has a wonderful smooth texture! 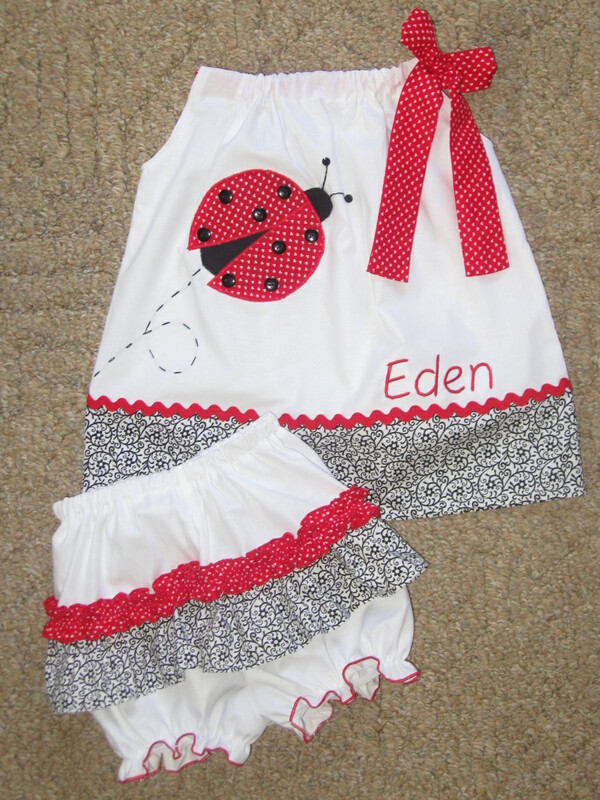 We are going to give this away in your little one’s size from 6 months up to a girl’s size 8. When you win I will make one in the size you would like. Look around then contact us through our contact us page and let us know what your favorite item is. That will give us your e-mail address and you will be entered! For 1 additional entry you can like our Face book page. We will enter your name a second time. For 2 additional entries you can mention this give away on your Face book page or your blog. Leave a comment on our Face book page under the picture of our Garden Gate pillowcase dress – letting us know you have done this so we can enter your name 2 more times on the list. Or leave a comment on this post letting us know you posted our give away on your blog. For 1 additional entry you can leave a comment on this blog post! We are going to be doing a random drawing with random.org. on Monday March 12, 2012 in the morning. We will notify you by e mail, so be sure you fill in that field on our contact us form at sewsowsooo.com. Finished up our Fleur line yesterday. 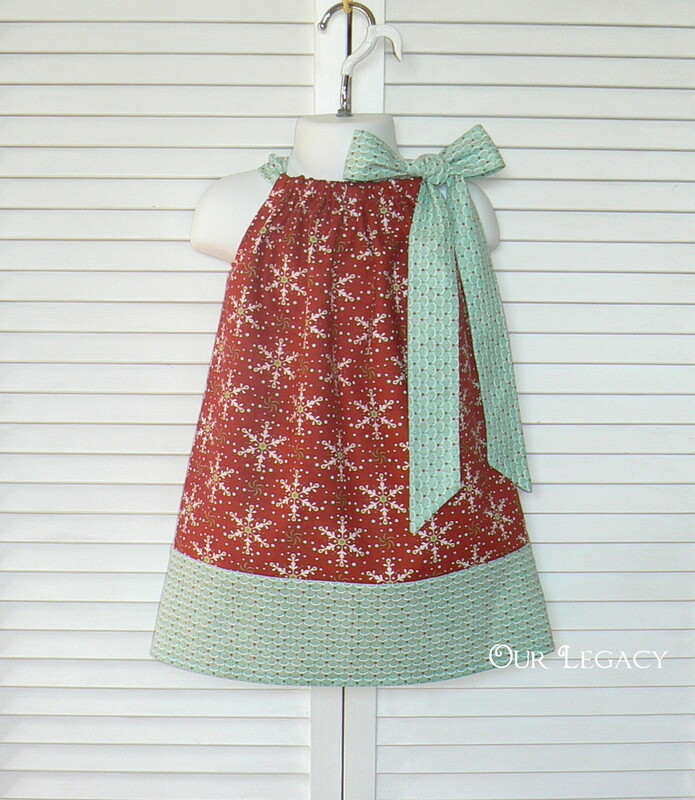 Last addition was this knot dress and then made some ruffle pants to match. Sent the outfit to the photogragher so I just have this picture of the dress. 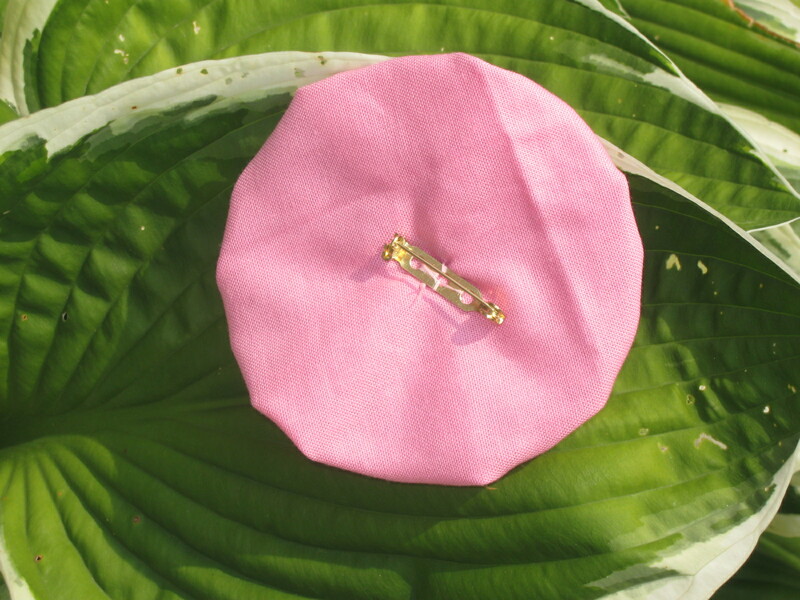 The little posie flower on the dress is not attached. I am just showing how it can add to the dress. 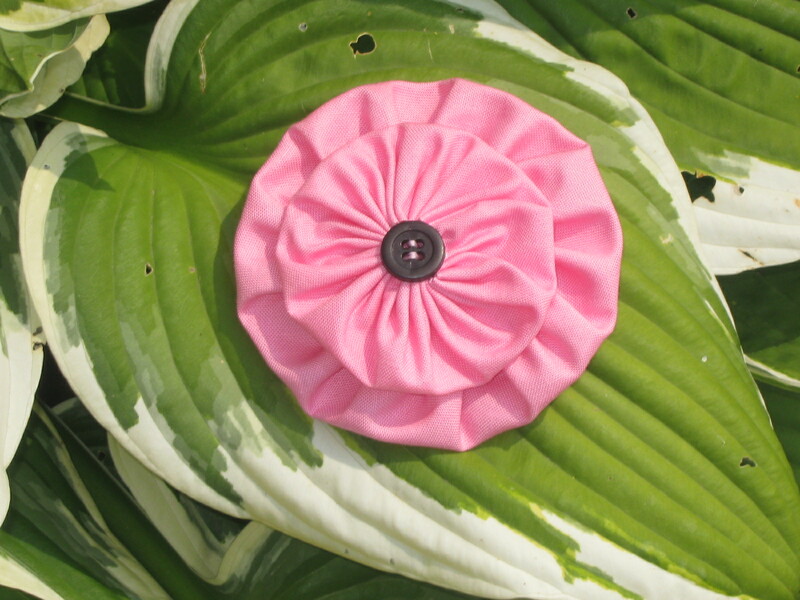 I just made this little double yo yo posie with a button in the middle and sewed the pin to the back. This could be added to a dress, hat, jacket, purse, or what ever needs a little lift! I do think it looks nice on the dress, but the dress can definitely stand alone! I am a advocate for depth, hence the double yo yo. 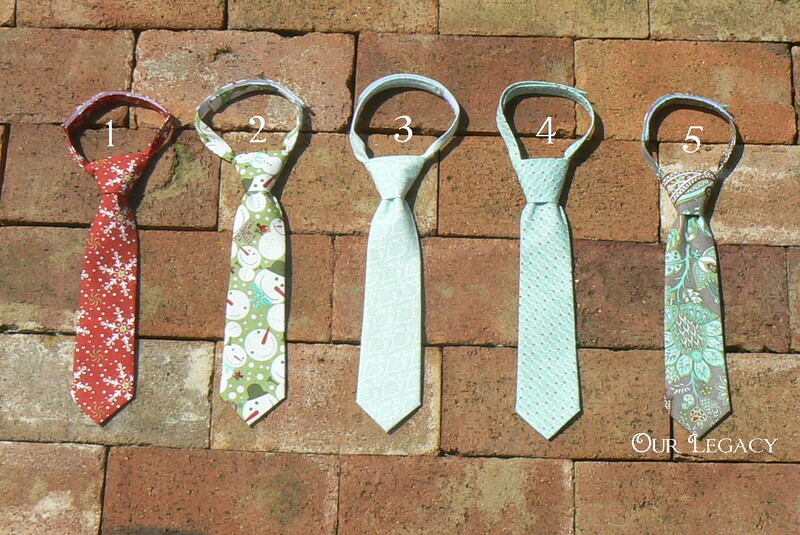 Victoria is working on ties for a wedding party. She is busy! We are trying to clean out our project basket. So, we can feel done for a minute, then we’ll probably fill it up again! 🙂 My brain is sure full of ideas! I also wanted to show a dress that a customer requested, I am offering it for sale on my website.